American teachers with the help of Non-Profit Educational Foundations have an unprecedented chance to be in the vanguard of a movement to inspire and engage their students, re-invent our schools, and thereby boost our economy. Since President Lyndon B. Johnson’s Elementary and Secondary Education Act of 1965 (ESEA) and it’s successors, the story of American schools has been one of persistent decline in psychological engagement levels, by both essential stakeholders in our education system: those taught, and those who teach. To halt this decline we must re-ignite and reinforce the psychological desire of students and teachers, to become re-engaged in the learning and teaching process. To do this students must learn how to understand through deep questioning the context of a subject and its relevance to the student, versus just “the facts” to pass a test. As teachers assist their students to participate in a self-directed effort to learn the context of any subject matter, it will inspire their students to become fully engaged, uncover new knowledge and enhance and improve their life, and be better prepared for their 21st Century career. This is necessary because today more than 50% of high school students are psychologically disengaged with their own learning, and 70% of teachers are psychologically disengaged with teaching. The inevitable result of these low levels of engagement by students and teachers is a decline in overall educational performance in the USA. It is therefore not surprising, but still disheartening, for Americans to be made aware of the fact that fewer than 50% of students are hopeful about the future. Without reversing this decline we cannot continue to engender hope for a better future for our children. At the heart of re-engagement is buy-in. If students convince themselves of the need to learn, then fire comes from within. If their feet are held to the fire, it has the opposite effect. The big question is this: where to begin? The answer must be to begin where ever an examination of the evidence leads, and then formulate a solution. This Manifesto examines the evidence and proposes a solution. I have examined the evidence and I remain optimistic. Consequently the intent of this Manifesto is to give 3.5m American teachers the evidence and tools they need to ignite a bold, disruptive, cohesive, grassroots movement with the goal of fixing our schools, from the bottom-up: at no additional cost. An overview of the evidence clearly demonstrates that America’s schools system is definitely too big to fail, but it is broken. The good news is it’s not beyond repair. The evidence from the past sixty years has proved that the policies of federal and state governments, implemented by administrators with little say in policy-setting,have failed to fix the problem.Logically that leaves the teachers as the only ones who can; but they need both permission and help. The Non-Profit Educational Foundations aggressively and productively engage with our students and teachers. Their mission is focused on success, reform and innovation, and they believe they are answerable to the students. Unlike the school boards and governmental authorities which are focused “on the process and testing”, the permission and help the teachers and students need must come from Non-Profit Educational Foundations. Here is the context. Teachers and parents know that the legacy of disarray is a result of a misguided fixation on testing students’ memorization, and using these results as the only measure of progress. Teachers are also well aware that if they or their school vary from the government-mandated curricula and tests, sanctions will be applied! Ironically “teaching critical thinking is illegal.” That is a direct quote from a conversation I had with the superintendent of a large mid-western district. Teachers also know that coerced learning never works. It’s why 50% of high school students report being psychologically disengaged, and 25% – 40% feel stressed and why 50% of teachers leave within five years. Punishment and fear are not motivators. To quote one of my favorites, Plato: “Knowledge acquired under compulsion has no hold in the mind.” Teachers know that disengagement – theirs and their students – is an understandable response to classroom tedium, and compulsive testing. Teachers also know that Congress has outsourced the profitable parts of our schools’ curricula to large corporations, whose revenue and profits depend on maintaining the status quo: teaching-to-the-tests at any cost. Of course they have more lobbyists than teachers – and students don’t have any. Teachers and students know that memorizing facts is not learning. It never has been and never will be. It is a small part of learning, and getting smaller. Teachers, parents and employers especially all know that what students’ need is training in these skills: Critical Thinking, Problem-Solving, Collaboration and Communication. This will happen when teachers guide and assist their students, to participate in a self-directed setting to discover the context of any subject matter. Thus inspiring students to become fully engaged with their learning by uncovering new knowledge, which will enhance and improve their life help them be better prepared for their 21st Century career. This is all happening at a time when technology is exploding and changing the world. Employers now demand very different skills. But sadly schools are not supplying these skills. This asymmetry is an enormous opportunity for teachers and their students and society at large. It is imperative that teachers, voters and taxpayers realize that the only measure of progress in the 21st century, is the capacity of students to learn and re-learn, using critical thinking, problem-solving, collaboration and communications skills. Skills that need to be exploited in our classrooms. Teachers know that most of the other 70 developed nations also teach-to-the-tests, and are well aware of the tragic irony that the US, while spending the most on education per student, is doing at best a mediocre job of teaching-to-the-test. The proof is the inexorable decline of the USA down all global testing rankings year after year. Today jobs that rely on fact-memorization, recall and repetition are the very jobs that robots are being deployed to perform. This is why students need to become proficient in the skills that machines cannot perform – yet. Bill Gates recently said: “Artificial Intelligence is on a steeper learning curve than human intelligence.” If we begin to emphasize thinking, problem solving, collaboration and communication skills, we will steepen our students’ learning curve, and enhance their potential for hope and the pursuit of happiness. We should also acknowledge that the free-market economy that has served the US so well, and for which we are preparing students, is unsentimental, guilt-free and Darwinian. Businesses have been enthusiastically replacing workers with machines wherever possible, at least since the first industrial revolution began 250 years ago. There is every incentive now for businesses to accelerate that process. Almost half of all job categories are candidates for robotization, that impacts our children. Asymmetry is here! The gap between what is needed and what is being supplied is wide! It is so wide, a disruption needs to take place. Education Foundations and Teachers can become visionaries and change agents. So, teachers get your fellow teachers and students at round tables, and get them thinking and disrupting. What follows is your ammunition and instruction manual – 90 minutes of your time. The keys to re-engagement are thinking, collaboration, problem-solving and communications in a self-directed setting. The Terego Method© shows how students can be part of their own education, and re-engage by “buying-in,” to why they must learn and prepare for life after school. If you believe our schools are worth saving through the re-engagement of teachers and students, spend 90 minutes beginning below, and please share with all the teachers you know. This is a complete guide to our 21st Century problem using a 2400 year old solution: Socratic Inquiry. Carpe diem. Let’s do this for the children: the messengers we send to a future we will not see. If you would rather read the balance of the Manifesto at another time, you can jump directly to Section Two and see how the Terego Method© works starting on page 15. Other than my parents I owe my greatest debt of gratitude to my teachers. I was the beneficiary of an education based on Socratic inquiry. Early on I learned that questioning resulted in a deeper understanding of the context and details of any subject matter, which leads to greater meaning. Because of my teachers, I have had a love affair with learning ever since I can remember. I want others to love learning. At present many do not, I am committed to changing that. My goal is to enlist teachers, and groups of teachers, as change agents to unleash the potential bottled-up in our schools. Invest just ninety minutes of your time reading this Round-Table Manifesto and training yourself in my free Terego Method©. It might help you put your students literally and figuratively at the center of their own education. The views expressed are my own and were developed as a result of logic applied to empirical evidence: I simply followed the evidence. My hope is that this Manifesto will convince you of the validity of my argument, and the appropriateness of my solution, and inspire you to join with Foundations and other teachers both, to help your students and fulfill your vocation. This Manifesto is divided into TWO PARTS. The first part is a detailed and objective examination of the current “state of our schools”. The second part is a detailed lesson plan on how you can,without added costs,simplyand easily make a disruptive change that will make your career more fulfilling,improve your students’ outcomes, and our schools and their outcomes. The Manifesto Has Five Goals. To call attention to the challenge (disengagement from education), and the opportunity (re-engagement with education), posed to us all by the state of the American education system. To foster an independent grassroots movement by, and for all like-minded teachers, who wish to return critical thinking, problem-solving, collaboration and communication skills to our student’s curriculum. To provide teachers with an easy-to-learn best practice, through which critical thinking, problem-solving, collaboration and communication skills can be learnt by teachers, and taught to a new generation of students. To inspire teachers to become agents of change, with zero added cost. To create an atmosphere of pragmatic optimism. The bigger the challenge the bigger the opportunity. The first step, however, must be to identify and acknowledge there is a problem. THE KEY IS ENGAGEMENT THROUGH INVOLVEMENT. 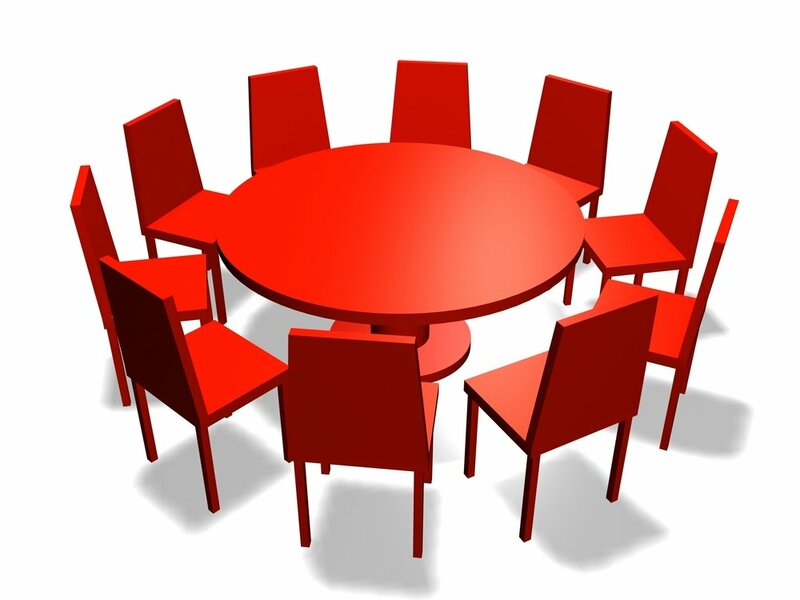 THE ROUND-TABLE IS A METAPHOR FOR A CHANGE: PUTTING STUDENTS BACK AT THE CENTER OF THEIR OWN EDUCATION. Learning used to be thought of as purely an intellectual pursuit: learning for learning’s sake. But suddenly, as you will see, learning and knowledge have become the oxygen of our new economy. Learning is important; the use of learned information creates knowledge. My argument in this Manifesto follows Toffler’s idea. We are living in new era, and if learning and re-learning is the key to our future and our children’s, then we have a problem, and an opportunity. Depending on our actions, we are either on top of a precipice or ready for lift-off. Standing still is fatal. So is tinkering. Two conflicting forces have appeared in the past fifty years. Our technological capabilities have seen exponential growth, and that growth is projected to accelerate. In that same period we have seen a steady educational decline that shows no signs of being arrested in our schools. These conflicting and asymmetrical forces demand our attention. A disruption is inevitable. More on this below! One inevitable consequence of our shiny, new, technology-driven economy that we must understand, accept and adjust to is that employers demand very different skill sets now, than they did in the days of mainframe computers and slow telecommunications. Schools are demonstrably not providing those skill sets. This leaves businesses with three choices: physically or virtually relocate to where appropriately trained employees are more available; re-train employees in 21st century skills; or automate the skill. Since the overarching, top-most goal of a business is to survive, they are doing all three. And technology is facilitating this huge change. Already almost 75% of American workers do some tele-working. US businesses spent $70 billion on training in 2015, and spending on robotics and related services will hit $135.4 billion in 2019, up from $71 billion in 2015. These are tectonic shifts. We are now in the Fourth Industrial Revolution.The knowledge economy!And we are not going back. The way we work, play and interact has changed in scope and complexity as never before in human history. Just at the time when learning and re-learning has emerged, as the only way to guarantee an employee even a toehold in this nimble and fluctuating economy, our schools are still rooted in a time when they served very different stakeholders. The reality we are grappling with is this – if you do not learn to use or even create robots they will replace you. In 2007 our Fourth Industrial Age was kick-started and Blitzscaling on a global scale happened. Blitzscaling is what a company needs to do when it must rapidly, and safely scale its operations to serve a large, high-growth and global client base. The goal is to be the first mover in that space with a high impact. Think Apple, Amazon, Twitter, Instagram, Facebook, Uber, Airbnb, or Google: zero customers to billions in less than a decade. This is a first for humankind and has enormous and disruptive implications; not least for education. It does not stop there. Blitzscaling has now gone beyond individual high-growth, high-impact companies and has engulfed the world and its people. We’re now well into the networked age predicted in 1964 by Arthur C. Clarke, and it’s not just the internet. Globalization is a reality and also a network – of transport, commerce, payment and information flows around the world. Companies need employees who can work in teams, identify issues, discover solutions and communicate those ideas to be executed in record time. This has little to do with learned facts and much more to do with critical thinking, collaborating, problem solving and communication. This all means nimbleness and innovation, are indispensable assets and competition comes from anywhere. American school children are competing with students from around the world for jobs, not those students in the next seat, and we are losing – badly. In 2000 US schools ranked 15th worldwide. In 2012 we ranked 28th. And now in the latest PISA scores (which test thinking not memorization) the USA is 40th out of 70 in Math: the skill that most accurately predicts future earnings. “Every three years, half a million 15-year-olds in 69 countries, take a two-hour test designed to gauge their ability to think. Unlike other exams, the PISA, as it is known, does not assess what teenagers have memorized. Instead, it asks them to solve problems they haven’t seen before, to identify patterns that are not obvious and to make compelling written arguments. It tests the skills, in other words, that machines have not yet mastered.” Writes Amanda Ripley in the NY Times 12/6/16. In other words our current testing system relies on testing how well students memorize facts and PISA tests critical thinking, problem solving and communications. The skills our new age needs. We might be getting better at graduating students from high school but the criteria we focus on for graduation – testing memory – is wrong. Doing the wrong thing even better is no measure of success. This is an unsustainable and unacceptable downward trajectory with enormous ramifications for US competitiveness and national security. Clearly the disruptions of the last fifty years, especially since 2007, cannot be met with an educational status quo. They must be met with an equally bold and disruptive move by our schools. It is not happening! American schools are currently dominated by twin philosophies. Teachers direct the learning experience. Students need to learn facts. Yes, and facts are important. But just how important? Take a closer look at ‘facts.’ They are simply objectively true answers to questions posed in the past and answered by our predecessors: they are ‘necessary knowns.’ They are also easily digitized, stored and accessed, making drilling those facts into students’ memories and recollection of those facts easily tested. That leads to the possibility of robots replacing teachers. In fact the Optical Character Recognition machines of the 1960s and 1970s – intended for tallying votes – did just that. They robotized and economized testing. In doing so they sacrificed the thinking part of the pedagogical experience, since these machines can only recognize an answer if it is posed as a multiple choice question. Consequently content had to be delivered in factoids so ‘progress’ could be measured; and now via the Common Core it is, to the exclusion of all other 21st century skills such as critical thinking, problem-solving, collaboration and communication. We changed our way of teaching to suit the limitations of technology. Would businesses modify their operations to suit technical inadequacies? Schools did, and we are reaping what we sowed! Another fact about facts is this: the vast majority of decisions students will make in their life and career will be subjective in nature! However, most of what they have learned in K-12 are objective truths: questions already asked and answered! In order to survive and evolve and be employable they will need to make decisions based both on facts and newly-uncovered evidence, discovered through critical thinking and problem-solving and then synthesized into well-informed judgments or opinions; not just guesses about the future supported solely by historic facts. Inevitably it will make economic sense that low-paying jobs are more vulnerable to robotizing since low-level employees are simply required to learn facts and perform repetitive tasks. Our market-driven economic system guarantees a cheaper alternative, to performing those routine tasks will be found, and the employee made redundant – it’s a matter of company survival. Already 47% of all current job classifications are subject to ‘machine replacement.’ A.k.a. redundancies. The free-market economy for which we are preparing most students is pitiless, unemotional, guiltless and Darwinian, where only the most adaptive organizations and people survive. A good-paying job on the other hand, requires that an employee uses facts as just one part of developing an informed point-of-view about a problem, that has no right or wrong answer, just a well-argued opinion on which to make decisions. The hard truth is that the accuracy or validity of all decisions will not be known until sometime after the opinion is actualized as let’s say a product idea, marketing plan or a design. The same will be true in personal life – no one can prove ahead of time whether that choice of car, house, investment plan, spouse or career was a good one until time has passed. Making informed decision-making a premium skill. The more thinking skills, problem-solving skills, collaboration skills and communication skills go into decision-making the better the odds of a good outcome. Does that sound like our school curriculum to you? We can, however, teach students to hedge their bets through thinking, and that is a prized asset for any employer, and the employee. The second driving philosophy is the teacher-directed approach to learning. It is the result of the demands made by the No Child Left Behind Act, and its antecedents and successors, with their systems of rewards and punishments that forces fact-memorization of state-sponsored curriculum content, to be the only measure of progress our schools make. It is unsurprising that 70% of teachers in a recent survey reported being ‘not engaged’ or ‘actively disengaged. Sadly the law of unintended consequences will come into play with the advent of eLearning technology. Teachers will be made more and more vulnerable to redundancy, since a machine can feed facts and test all day long. Teachers can integrate and teach critical thinking, problem-solving; collaboration and communication. Artificial intelligence cannot teach these important components of education – yet! So all teachers’ job-security is enhanced by teaching students the skills they will need in our new economy. Teachers’ job security is diminished if we continue to stress facts as the only measure of educational progress. The USA will lose our competitive edge and teachers will be more easily replaced with robots. All this has led to SIX PARADOXES in American education. The first paradox. US taxpayers have outsourced public school education, minus the costs of services and infrastructure which we taxpayers still bear of course, to large companies. We have in effect privatized the profitable parts. Pearson steamrolled into this space and as a result, in the minds of most education stakeholders, testing memorization skills has mistakenly become the priority while critical thinking, problem-solving, collaboration and communications skills – the 21st century soft skills demanded in our new networked economy have been left behind in the 20th century. Memorization only is not learning. It never has been and never will be. It is a small part of learning, and getting smaller. Facts synthesized with new information equals knowledge, and knowledge is the only path to innovation. Facts are inert. They are like crude oil before it becomes jet fuel. The second paradox. We are stressing fact-recollection skills just at the time when speech recognition, hand-held supercomputers and light-speed networks literally put facts at our fingertips. No wonder over 50% of all students in high school are psychologically disengaged. That’s 8,000,000 American adolescents languishing in our schools costing taxpayers almost $12,000 each: $46 billion in total non-performing assets on the American balance sheet. We need to awaken all US students’ potential. If not many will become lifetime wards of the state with robots doing the jobs they might have done upon graduating. Students with the right skills will find it easier to secure jobs. The third paradox. By clinging to an outmoded teacher-driven, didactic and rigid curriculum we are deepening the chasm between what schools supply, and what companies demand in this new age. If schools had as their twin goals the creation of lifelong learners, and the preparation of graduates for a career instead of fact-checking and teaching-to-the-tests, the asymmetry would improve. Schools are not going to disappear like typists, telephone operators and receptionists did, and people who drive for a living soon will. Sooner or later schools are going to change to self-directed education. They should also share the goal of many enterprises, and blitzscale their way to be the first mover in a space with a high impact. That is where teachers come in. Read On, Disrupt And Share. What happens to the US if the Chinese discover that “teaching thinking” is a better return on investment and blitzscale their schools appropriately? It would not take a consensus for them to do this either, just a stroke of a pen by the central authorities. In the US it would take commissions, reviews, appropriations, lobbyists and congressional votes. Coerced learning means learning in order to avoid negative consequences such as punishment. This frequently results in apathy, alienation and impatience with the process. Up to Sixty percent of US High School students are in this category. The fifth Paradox. We are even doing a terrible job of teaching fact memorization, and getting worse and worse at it. The 2013 PISA rankings place the USA 24th in Reading, 36th in Math and 28th in Science. Math is the best predictor of future earnings. The 2015 rankings just placed the USA at 40th out of 70 in Math. PISA ranks the educational attainment of 70 countries. The Sixth Paradox. The most diverse nation ever is homogenizing its diversity not leveraging it. There are 50,000,000 students in the USA, each with their own reason to study – or not. All 50 million, however, are given the same reason to learn: it’s a government mandate. No matter whether it is a group of simple cells or a complex collection of people, what is vital to current and future health is its diversity. We have known this since Darwin published his ‘Origin of Species’ in 1859. Here’s a key finding from his disruptive Manifesto, “It is not the strongest of the species that survive, nor the most intelligent, but the one most responsive to change.” By definition a top-down monolith is less responsive to change. Just look at our own Departments of Education. It takes a bottom-up strategy to leverage diversity. Clearly conditions are ripe for a DISRUPTION! Disruptions always result from paradoxesand asymmetries. The inevitable conclusion from part one of this Manifesto is that a disruption in education is long overdue. In 1983 President Reagan’s Education Commission called its report “A Nation At Risk.” It stated bluntly that, “If an unfriendly foreign power had attempted to impose on America the mediocre educational performance that exists today, we might well have viewed it as an act of war.” Things are much worse now. Despite the enormous shifts in the technological, business and social environments, and trillions of dollars no disruptions in education, have occurred. Disruptions happen when existing structures, institutions and technologies no longer suffice. Here’s lesson from history. Until the 1750s ships and shipping – the global network of their day – could only progress so far without knowing precisely where they were. Navigation by the stars could only fix a ship’s north and south position and this hampered the progress of trade and conquest. In the 1750s the first reliable shipboard clock was invented that fixed the vessel’s east and west position precisely. Soon the British soon controlled the oceans, trade created wealth and eventually an empire. When the empire itself became an asynchronous paradox 200 years later further disruptions occurred. When a system, institution, product or service goes from being symmetrical to asymmetrical a disruptive event always takes place.The key is to be ahead of the curve. Disruption does not happen without innovation of course. Tools, fire, writing, steel, gunpowder, telescopes, automobiles, semiconductors and software were innovations that disrupted the status quo. The inventors and discoverers asked and answered the question, “how can we do something better?” The questions come from our innate curiosity, and we are stifling curiosity and creativity in our schools by a regimented approach. There are 50,000,000 students in America with fifty million individual reasons to learn – not one state-sponsored mandate. Our schools are top-down in a bottom-up world; a paradox in other words. Top-down statist approaches failed spectacularly in the Soviet Union and elsewhere. Yet our various departments of education continue insisting on a discredited one-size-fits-all approach to educating our most precious resource; children. The Internet. Powered Flight. Nuclear Fission. Electricity. Semiconductors. X-rays. Rubber. Iron Smelting. Gunpowder. The Magnetic Strip. All of these unleashed new forces. The recent emphasis on STEM is laudable. But if all we do is emphasize teaching students to improve their memorization of STEM facts, we will once again be putting facts on the pedestal and ignoring questioning, which is at the heart of critical thinking, problem-solving, teamwork, and communications. That is not a disruption but a continuation of the status quo. We have not just taken critical thinking – the most prized skill of all – off the curriculum, we have in effect made teaching it illegal. This is a self-defeating act which will only result in further imbalances between our schools and our economy. A paradox that will in time lead to a disruption. The question is will it be too late? If ever there was an institution ripe for disruption it is education. Schools are at the very least misaligned with 21st century needs, and at worst training students for a 19th century economy. A grassroots effort is the ONLY possible solution. We have no time for a top-down revolution: the best we can hope for from the lawmakers and bureaucrats, is tinkering around the edges. Teachers, don’t wait! Make school tables round. Put students literally and figuratively at the center of their own education. To understand how this can be done it is important to point out that there are two kinds of teaching/learning: lecturing and learning in a team. The latter is my focus. In a lecture setting (the setting most familiar to our students) students are passive and the teacher is active – the didactic sage on the stage. In a team setting the students are active and the teacher is passive – the guide on the side. All four are best taught in a team setting asking and answering structured QUESTIONS. This is the formula Socrates used. He called it maieutic from the Greek word for midwife. The basic premise is this. If team members get together in a ‘structured-questioning, self-directed’ setting to examine through questioning a subject and then vote on a collective opinion, they will buy-in to the idea of why Geography for example – or Algebra or anything – matters, and be more willing to understand and accept why they need to learn the related content. Beginning your student’s quest to learn the facts and skills of Algebra by saying “Open your textbooks at page five,” makes much more sense if each student has spent time in a group asking and answering questions about Algebra, and coming to their own conclusions as to why it is important to them individually. So! BEFORE beginning to teach the facts about say GEOGRAPHY get your students into teams of five or seven at ROUND TABLES and show them how to follow my Socratic Method and collectively answer a question. In this case: Why Does Geography Matter? Click on this link to see how it works. Similarly get them into teams at ROUND TABLES and challenge them with this: Why Is Thinking Important? Click to see how it is done. Ask your students to form an opinion at ROUND TABLES on Why Biography Is Important? Click to find out how it is done. Ask your students to form an opinion at ROUND TABLES to discuss If All Learning Is Connected?Click to find out how. Ask your students to discuss at ROUND TABLES Why Learning Matters? Click to find out how this is done. All students play games, ask them to discuss at ROUND TABLES Why Games Matter? Click to find out how this is done. Have your students ever analyzed the reason they are in school, again at ROUND TABLES? Have them look at Why Careers Matter Click to find out how. I hope that all this has convinced you of the need for change, and how one method – Socratic Inquiry – can help teachers change and disrupt our education system for the better. The change I am calling for depends first on teachers buying-in to the need for change and becoming change agents, and showing their students how to buy-in to their education. Consider creating and hosting your own ROUNDTABLE TEACHUP. A local grassroots community of like-minded teachers who wish to hone their best-practice skills. A community that is protected connected and respected. Begin by sharing and discussing the seven links above. Move on to this opening topic to be analyzed using the Terego Method to get you started: Why Teaching Matters. Then move on to why ALGEBRA, LITERATURE, READING, HISTORY, SCIENCE, TECHNOLOGY, ENGINEERING, MATH or ART – or anything – matters. Share your results with other teachers. Round-table teachups have many other benefits. Teams can achieve things that an individual alone cannot. That’s why employers value the skill of team playing so highly. Working in a rules-driven team members can be efficient and leverage thoughtful input. They provide mutual support. When an outcome is achieved the collaborators feel involved, responsible and respected. Participants feel protected, respected, connected and empowered. Teamwork improves confidence, rhetorical skills, collaboration skills, interpersonal skills, intrapersonal skills, persuasive skills, leadership skills and Steven Johnson just showed us that they are fun and can be viewed as play. Team Members feel Protected, Respected and Connected. In a team the members can deepen and strengthen their connections for the benefit of all. Future Evolution Of The Roundtable Teachups. If enough teachers get behind this idea, the next step is a community of educators unified behind the ideas detailed in this Manifestom and supported by a social media sharing platform – the Round Table – with video or Power Point lesson sharing, idea sharing and blogging capabilities. This in turn could lead to ‘Hackathinks’ where teams compete on how well they answer a question such as “Why laws matter.” Each team gets an hour during which they address the issue and create Power Points to show how they reached their conclusion. Ultimately the Terego Method© could be turned into a multi-player video game. If schools districts see the value of this Round Table program they will award Continuing Education Credits. I hope I have planted the seeds. The rest is up to you the teachers. You and your students deserve better. Carpe diem. It’s better to ask forgiveness than permission. Carefully define the word, and insert the definition below the prompt. Look up antonyms and synonyms, and write beneath the definition. Ask and answer the question “What is the idea contained in this prompt a part of?” Do this at for at least two levels above main word contained in the prompt. Divide the diagram into six segments. Ask and answer as many questions as you can, beginning with these words. Write the best answers in the appropriate segment. Decide by vote on which of the best answers are best suited to a thesis statement. Write these answers down and create a thesis statement from them. To learn a method of thinking about an issue or topic in a way that encourages the development of a point of view on any given issue. To help us in this task by organizing a group, in which participants collectively come to a resolution on a given topic. All ideas generated by me during a meeting of the group, will be private and known only to me until I declare them part of the group’s work product. At this time, said ideas will become open for discussion. I promise to let one member of the group repeat each speaker’s thoughts, (once completed) without interruption, thereby solidifying their idea in all members’ minds. Want Proof The Terego Method Works? “Watching students use Terego’s methods is like seeing them finally find the light switch.” Nancy Clark Language Arts, Venice Middle School. “If you think like this, the ideas will find you. “Joshua McDowell, 12th Grade Lakewood Ranch High School. “This class/seminar was eye-opening. It gave me a new perspective.”Alyssa Johnson 12th grade Booker High School. “Game changing. Makes me ask the right questions.” Rafael de Lima, 12th grade, Booker High School student. “These seminars have changed the way I think about every aspect of the world around me.” Elizabeth Betancur 10th grade, Booker High School. “This program represents an enormous amount of cross-disciplinary, integrative thinking.” Dr. Peter French, Dean of Academic Affairs, University of South Florida. THE TEREGO LEARNING MANAGEMENT SYSTEM© COURSE OVERVIEW, OBJECTIVES AND OUTCOMES WITH VIDEO POWER POINT EXAMPLES. “This is at the heart of all good education, where the teacher asks students to think and engages them in encouraging dialogues, constantly checking for understanding and growth.” William Glasser. The Terego Method© is a Structured Learning System that trains students to think critically in a team about a problem, and to clearly communicate their agreed opinion as the best solution. In the process they learn how to use facts, uncover new relevant information and blend these two elements into a solution. This is accomplished by rules-based procedures. The self-governing team collaborates by asking a series of questions. They learn to think in context; examining the topic by thinking up, down and around it. Following the rules, they learn how to use facts found through research and then identify new information from group discussion. The team blends their collaborative knowledge into an agreed thesis statement to identify the optimal solution for a given problem or topic. Each team member will then be able to clearly communicate their authentic opinion or point-of-view on the subject. The Terego Method© applies across and down the curriculum, and is not based on memorization but understanding through critical thinking. The following six instruction modules are designed so that in the first module the teacher is the explainer: the sage on the stage.Then, as the students progress through modules two through six, the rotating team leaders will become the moderators as the team works autonomously with the teacher counselling where necessary: the guide on the side. To teach students how to work together to master and deploy these skills. Before each module the teacher and the participants review a) the teacher objectives and b) student outcomes. After the module has been completed there is a test to check how well the students did on achieving their outcomes. The following modules are designed so that the teacher participation is high during modules one and two, as the teacher explains the method via the Power Points, and the students get used to the idea of addressing issues in teams. During the later modules the teacher participation lessens, and the student team’s involvement grows until they are totally self-directed. As the students become more self-directed they may get stuck and need to use the “cheat sheets” provided. Introduce students to Contextual Thinking. Introduce students to the discipline of Collaboration. Introduce the students to the idea of Hypothesis. Introduce students to the Terego Method© of developing, in a structured manner, an authentic point of view on a subjective issue, and communicating this point of view. Students will be able to demonstrate an understanding of the theory behind contextual thinking. Students will be able to demonstrate and understand the importance of context. Students will understand the value of developing an authentic point of view. Students will understand the importance of the step-by-step approach. Students will understand how to develop an authentic thesis statement. MODULE ONE VIDEO TUTORIAL – THINKING ABOUT THINKING. Carefully read each question and then circle the best answer(s), unless otherwise noted. Which ONE of the following is NOT a type of thinking? Which of the following best describes the 21st century workplace? Which of the following is the opposite of FACT? What is (are) the correct definition(s) of thinking? Circle all that apply. What does thinking enable us to do? To examine an issue you must ask six kinds of questions. The first question begins with the word Who. What are the next five kinds of questions? Circle all that apply. …something that should be trusted. We all think. It’s what makes us . Now for a living has replaced working for a living. Thinking is all about making decisions. There are many different kinds of thinking such as thinking. We can even about thinking, or think about things that do not exist. We use thinking to overcome , survive, and prosper. Our species is differentiated by our ability to rationally, not re-actively. To get students understand of the value and importance of critical thinking. To get the students to understand the different forms of thinking. To get the students to explore Critical Thinking and its value to them. To reinforce the methodologies, by which an authentic outcome is arrived at. Students will demonstrate an understanding of the value they – and their future employers – will place on Critical Thinking Skills. Students will demonstrate an understanding the difference between the various forms of thinking. Students will demonstrate they understand the importance of reinforcing the method of contextual thinking reinforced. Students will demonstrate that they understand the importance of authenticity in any point-of-view. “Which of the following does not value critical thinking? Society, employers, employees?………………. “Critical thinking is important because it…….problems. Team leaders and students in teams of four or six will be given a prompt (Society is losing its traditional values) to collectively examine, with the first few steps already displayed on screen, and the step-by-step method re-explained. They will collectively come to an authentic outcome explaining why they believe that society’s values are weakening – or not. “Assists” will be available to the teacher in case the students get stuck. The teams will collectively practice examining an issue (in this case Values) by questioning and discussion and creating an agreed upon written output according to the heuristics of the Terego Method™. The teams will be able to prove they understand collaborating in a team to solve a problem by addressing an issue, working it through in a step by step method and agreeing on the best way to evaluate the issue in written form. AN ‘ASSIST SHEET’ IS PROVIDED TO BE USED IN CASE THE TEAM LEADER NEEDS HELP. What are values a part of? The machinery and lubricant of society. Who are the keepers of values? What’s the point of having values? What are the principle values? What are some examples of positive values? Why do some values differ in different places and times? Where do values matter most? How do values impact society? How did values come into being? Complete the following paragraph by inserting words in the blanks spaces. A semi-Autonomous Team Exercise. Only the initial steps are provided. Pause the video at the end so the students can refer to it. To get the teams to convince other members of their view of the ideas of values and benefits of teamwork by working collaboratively and examining the abstract idea of teamwork. Again the first few steps will be displayed as will the rules and steps they are following. Demonstrate how they can collaborate in a team to examine an issue by thinking their way collectively to an authentic thesis statement. Experience in a group setting the value of teamwork. Understand the step-by-step Terego approach, which will become further ingrained as a means of solving abstract or subjective problems and then writing an authentic outcome. Insert the missing words in the Ten Step Terego Method©. Carefully………the word and insert the definition below the prompt. Look up antonyms and………and write beneath the definition. Ask and answer the question “What is the idea contained in this……a part of?” Do this at for at least…….levels above main word contained in the prompt. Ask and answer as many questions as you can………..with these words. Write the…….answers in the appropriate segment. Decide by vote on which of the best answers are best suited to a thesis………. What forms does teamwork take? What other species use teamwork? Why don’t more people use it? Where is teamwork best used? Where is teamwork not used and should be? When is it best to act as a team? How does teamwork benefit its members? How does teamwork help leaders? To do so with only the first few steps displayed and the rules. “Assists” will be available in case the students get stuck. By autonomously examining the concept of Communication, with only the step-by-step rules on display, the students will demonstrate mastery of the Terego Method™ by collectively solving a problem through critical thinking in a team setting and developing and writing an authentic and agreed-upon thesis statement. The video only gives the students the first few steps so pause the video at the end and leave it for the student’s reference. Who could benefit from better communications? What are the main discoveries/inventions involving communications? What can we do without communications? What is more important – communicating with others or with yourself? What did the invention of writing do for communications? Why is there a need for communications? Why is there a need for symbols when communicating? Where do communications take place? Where would we be without communications? When are communications most helpful? Fill in the steps to be taken after being given a WORD to examine? Write the WORD in the middle of the whiteboard or paper. Now write a definition of the WORD underneath. Write examples of synonyms and antonyms of the WORD below the definition. Now ask and answer the question “What is the WORD a part of?” Write your answer above the WORD. Now ask and answer the question “What is that a part of?” Write the answer one step above. Now divide the paper into six segments. 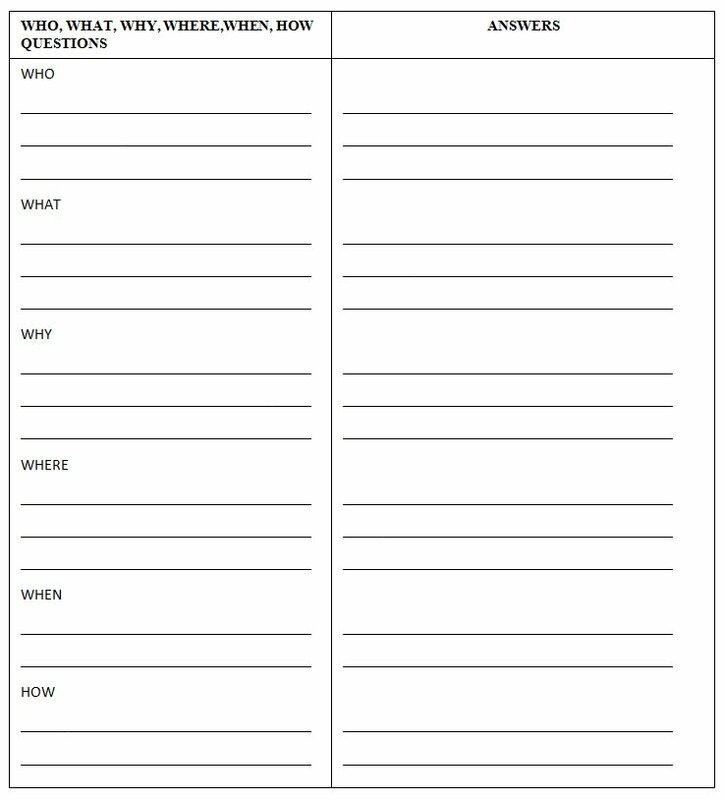 Insert the Who, What, Why, Where, When and How questions. Ask and answer as many questions beginning with these words and insert in appropriate segment. Vote for the best. Create a thesis statement from the best answers. The teams are now self-directed with minimal intervention from the teacher. The video should be paused for the duration of the exercise. By autonomously examining the issue of Career Choices the students will demonstrate mastery of the Terego Method™ by collectively critically thinking and examining a problem and coming to an agreed resolution. Who can help me? Parents, teachers, friends, role models. Who made good career choices? Who made poor career choices? What is a vocation? A calling. What is an occupation? A source of income. What is a job? A repetitive task. What is work? A means of earning money. What is a profession? An occupation that requires advanced training. What is a duty? An action required by a moral obligation. What skillsdo I need to work on? What careers pay the best? Why is a career decision important? I will work for a long time – better get it right. Why is this decision so hard? Where do I find out about my options? When should I begin looking at my future? How do I decide what my options are? Understand the needs of the workplace and match my skills to its needs. The students will grade themselves on the thesis statement developed. OR if more than one team is involved they will grade the other team’s thesis statement. Or fill in the blanks. Making a career decision is vital to my I need to understand the workplace and the different options I may have. I will need all the help I can get from teachers, parents, and friends. How and when I decide on my options is vital to my future happiness. I need to identify and work on my weaknesses and improve on my strengths. Here is an example on the issue of CAREERS from a team of 11th and 12th graders at Booker HS in Sarasota who completed all six modules. Thinking – Using logical reasoning to make a judgment. Hypothesis – An assumption made for the sake of argument. Better Questioning – Who, What, Why, Where, When and How leads to advanced and better analysis. Problem Solving – An intelligent decision to move from an existing state to a desired state. OR, A problem is a hurdle or a barrier that exists between the reality and a desired outcome. Collaboration We can all empathize with another’s point of view, we can reflect on our own point of view and we can communicate our point of view. Doing this in a team leverages the diversity of each member and results in the best outcome. Communication – A well thought-out verbal or written transmission of an idea. Foundations: Help spread the word! TEACHERS ARE UNIQUELY POSITIONED TO BE THE ‘CHANGE AGENTS’ OUR SCHOOLS NEED. Please stay in touch with me.